Relatively few live streaming services have added support for the TV app. That includes even DirecTV Now, despite parent company AT&T's close ties to Apple, and a long-running promotion — now over — of a free Apple TV 4K for people willing to prepay for three months. 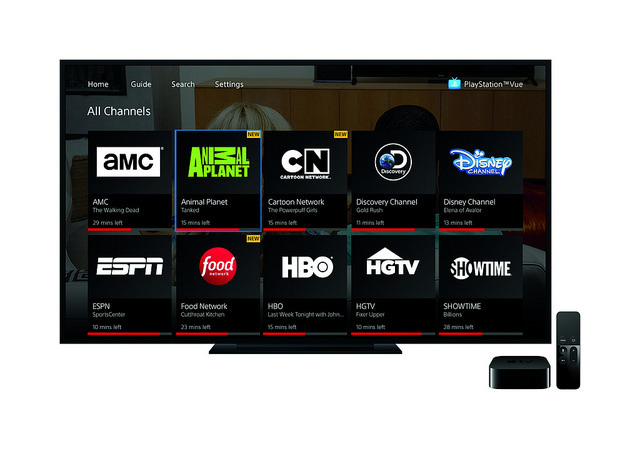 PlayStation Vue has four packages, costing between $44.99 and $79.99 per month. Each has an increasing number of channels, with the top tier — Ultra — bundling HBO and Showtime, which are normally expensive add-ons.